I was distraught when they started tearing down the orange grove, just beyond Lake Holloway Blvd. I loved playing in the groves. Ahh, progress is often painful. So the fruit trees came down. However, there was a bright spot to losing the trees: the paved roads. I found this exciting — since bikes were the primary entertainment for us neighborhood boys — we suddenly had smooth surfaces with no traffic! That’s massive for a 12-year-old with a pieced together Huffy. Before long, rows of houses replaced those rows of orange trees. Whoa! What? Mike and I had already dug our magic sets out of our closets, we had formed our Magic Duo: Marco & Presto! And I had experienced a real magic shop! The magician in me immediately took notice at the tag. As we stopped to look at the plate and discuss it, two women exited through the freshly constructed front doorway. I was never a shy kid. Even with my speech impediment. I couldn’t believe it. I stood, utterly astonished, feet on the ground, smurf-painted bicycle between my legs. “He is?” I said. “Yes, ma’am. 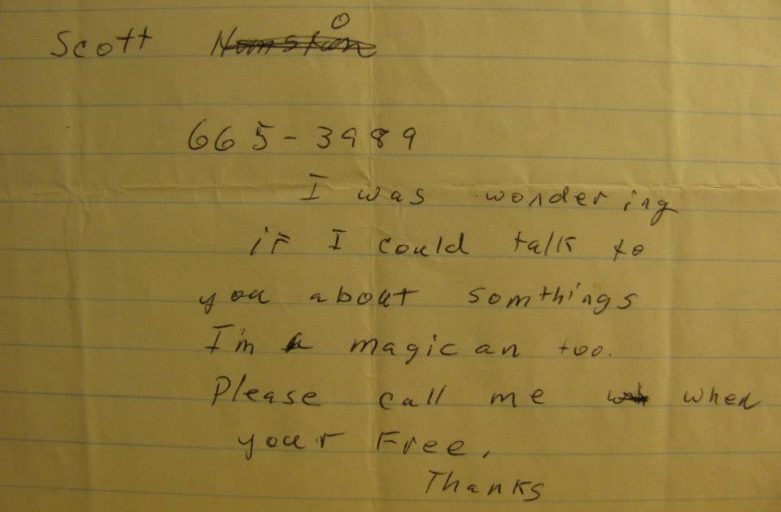 I am a magician too.” So, I had to meet this man. 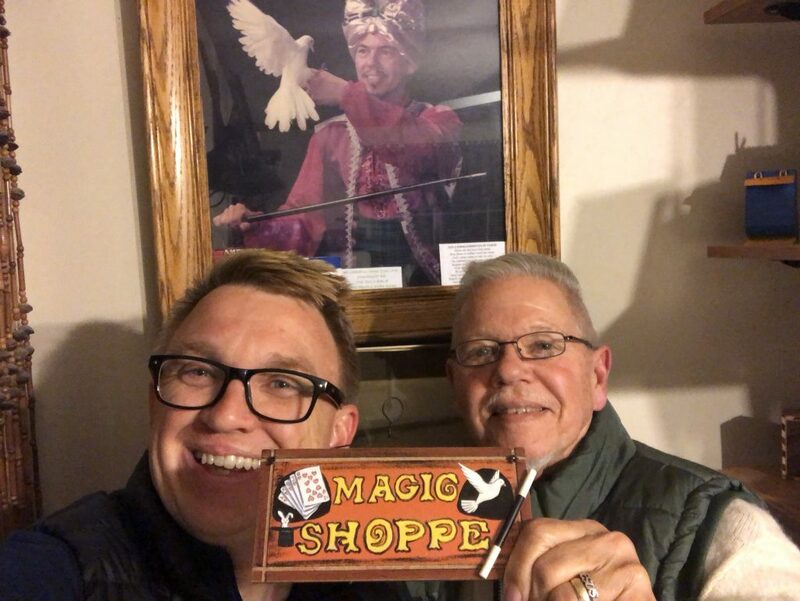 About a day later John called me, and that began our chapter in the ‘International Brotherhood of Magicians,’ a friendship that has lasted more than 30 years. You see, John and his wife Carol have worked ‘real jobs’ their entire lives. Carol served the Salvation Army for more than 20 years, and John eventually retired from Owens, Illinois’ Brockway Glass Container Company. 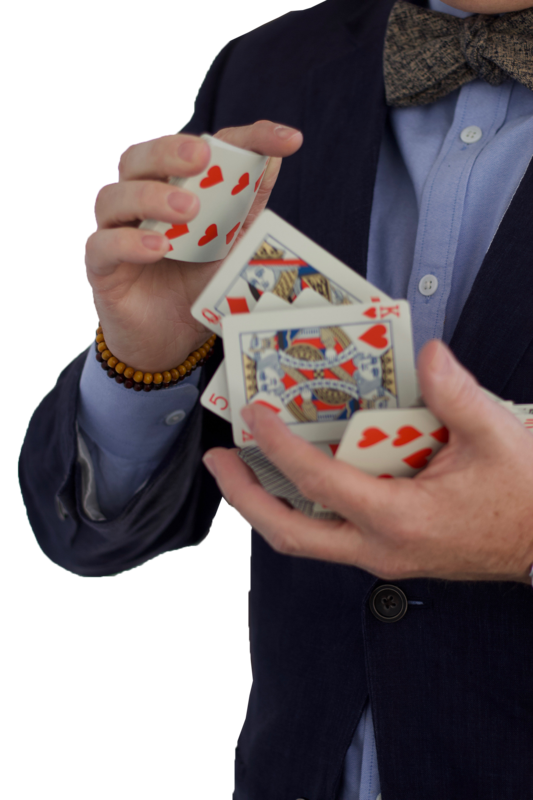 Through all these years, on the side, they performed magic shows for organizations like Youth for Christ, Vacation Bible Schools and even several Prison Ministries. John and Carol moved several times over their careers, also serving at Ground Zero after the September 11 attacks. Eventually, God led them back home to Michigan, to a small village just seven miles from Lake Michigan, about an hour from where they grew up, fell in love, and married. It was there in Bear Lake, in 2017, that John had a stroke. As an avid magician and painter John has always loved to glorify God with his talents. Thanks to be to God, the stroke was just a setback. John recovered in a truly miraculous way, and today you’d hardly tell that he had to learn to walk again. Although John can now paint again beautifully but is unable to complete all the skills it can take to perform sleight-of-hand and other various magical effects, John felt he wouldn’t be able to return to presenting his magic show with Carol. John observed it was time to hang up the top hat. I was honored that the Alexanders wanted to bless me with this collection of props, books, and boxes of wonder. So, in October of 2018, after completing a church event in West Virginia, I flew on to Grand Rapids, rented a van, and headed north. John and Carol had been busy packing everything up, understanding that my hectic schedule wouldn’t allow me to stay much more than a day. Arriving at dusk, Carol had dinner ready. She prepared matzoh ball soup, her mother’s recipe. It was my first time trying it — and I loved it! We loaded the van full of boxes in the chilly night air. The next morning we went out for breakfast and then to drink from “Old Faceful,” a natural spring that has been spouting out of the ground since 1933. Now, in Lake Wales, Florida, there’s a place called Spook Hill. It’s a local legend and a tourist stop — it is a hill, where your car, when put in neutral will roll UP the hill (Google it). Spook Hill first received national attention when it was featured on the front page of the Wall Street Journal on October 25, 1990, then in a segment on CBS Morning News with Charles Osgood on November 5, of that same year. But locals have been promoting it for years and years. So, John said, “This place is more astounding than Spook Hill.” And right he was. On this small little road, right by a quaint little church, in Arcadia, Michigan, we rolled uphill! For at least 50 yards, exceeding 20 miles per hour, we defied gravity. It is freaky! Scott & John with the sign John painted when he ran a magic shop in Tampa, FL. That’s a poster of John in costume behind us. John and Carol used their Magic Harvest Gospel Illusion ministry to proclaim the Good News to thousands of folks over the years. That they wished to pass some things on to me is, in many ways, an unexpected blessing. I am thankful for their Christ-like spirit all these years, that they were kind to a funny-talking kid who loved magic, that Carol had a pen and paper when I wrote up on my Huffy and that John kept the note I scribbled out for him all these years. 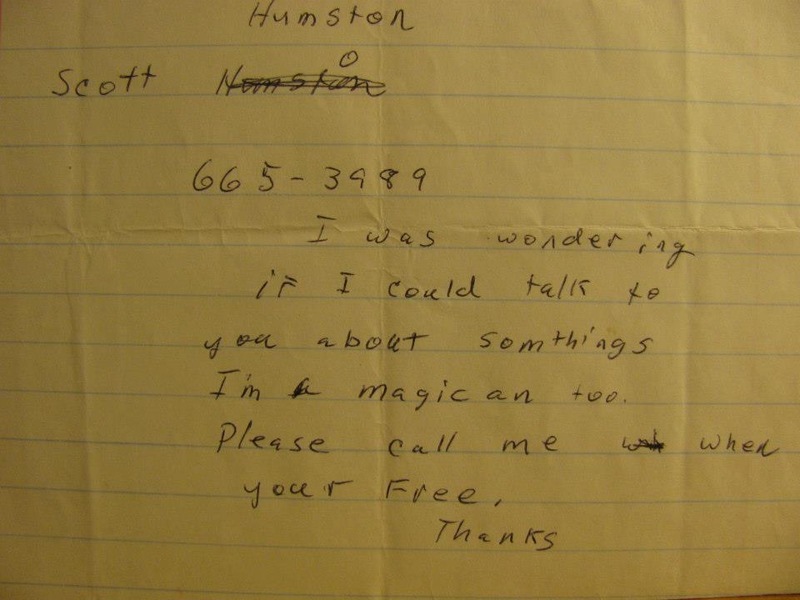 And I am grateful that the fellowship between Magicians has no age restrictions or limitations of space and time. ← Scott Humston-Two Minute Tips-Episode 42-Update That Pic!